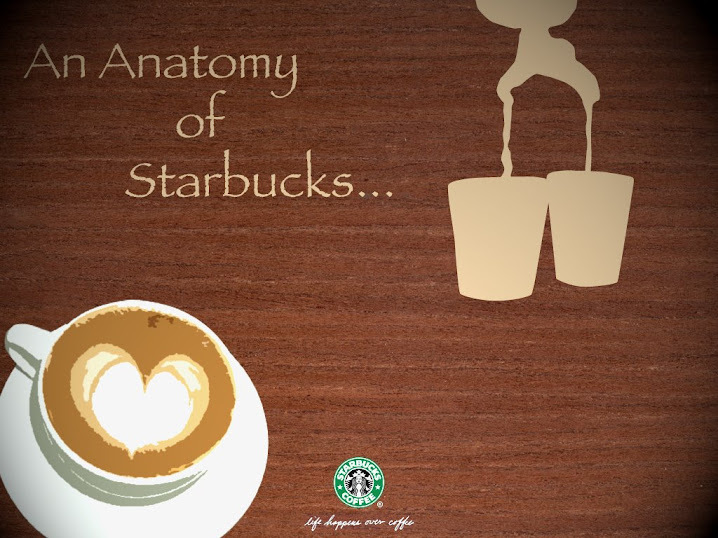 An Anatomy of Starbucks: Frappucino Anyone? Of all coffee drinks starbucks offer, the caramel frappucino is my favourite, i love it for its taste and also because it is very cold and soothing to drink. 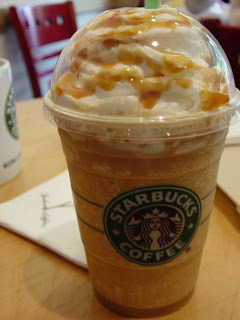 the caramel is sweet but not too sweet and blended together with whipped cream on top. it is really blissful to drink it on a hot day or an exhausting and tiresome day. =) i remember once after distributing questionaires and feeling totally exhausted i decided to go treat myself my favourite drink =) after taking one nice gulp of it, i immediately felt soothed. the cold drink slowly went down my throat and calmed me down and relaxed me. i really love the drink and would recommend it to anyone who's a fan of starbucks too. i dont think any other coffee house offers a drink as delicious as this =) certainly a nice drink. 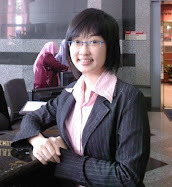 I'm Christy Wong Wan Jun and I'm a student from Multimedia University in Malacca and currently in my final year. I'm doing an blog assignment based on brands, and i chose Starbucks, the coffee brand as my theme. What you will find in this blog will be about how the brand started out from scratch and succeeding overwhelmingly today and more. Enjoy. Hotlink Ads~ - Here share 2 of the advertisement with you all,Have fun! MALAYSIAN AIRLINES ON THE GO ! ! ! - let go shopping!! http://guess.plaza-stores.com/ there are many thing that make u CRAZY..